Thanks to the Internet of Things, parcels can tell you what and where they are. So what are the benefits? Malek Murison talks to two thought leaders, Teemu Salmi of Stora Enso, and Dominique Guinard of EVRYTHNG, about the benefits of smart packages and supply chains. The promise of Internet of Things (IoT) technology lies in the details. 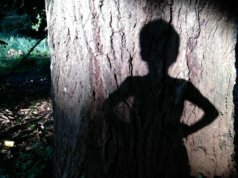 Anything can be given a digital identity and connected to anything else. However, finding applications that truly add value is another matter entirely. In retail and logistics, however, a coherent methodology is emerging around the concept of smart packages. Everyday packaging is becoming smarter with the help of technologies such as Radio Frequency Identification (RFID), QR codes, Near Field Communication (NFC), and cloud services, in a variety of different combinations. The result is that connected boxes, pallets, and batches are helping companies to cut costs, inefficiencies, and mistakes. 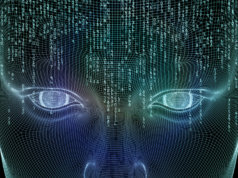 Intelligence is being added to the supply chain where previously there was guesswork. Goods can be tracked from A to B; perishables can be monitored and kept in optimum conditions; and counterfeit products can be sorted from genuine ones before they hit the shelves. And the logistics landscape is shifting in other directions, too. Last month, Vodafone and Deutsche Telekom completed Europe’s first NB-IoT roaming trial, promising a future in which packages can cross borders without losing the insights of localised connectivity. There are also developments in the scale of smart packaging deployment. 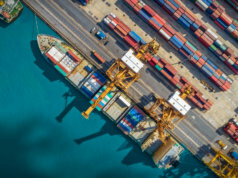 Typically, the macro view involves connecting product batches and supply crates to all parties along the supply chain. However, more ambitious use cases are emerging that aim to extend that reach and connectivity into consumers’ homes, continuing conversations with customers long after a sale has been made. 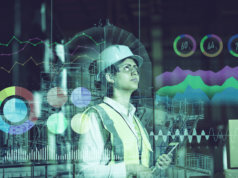 Effectively, every product can become a data point in a stream of information that can be analysed, harnessed, and acted on through the cloud to help manufacturers and retailers make better decisions and engage with their customers. Internet of Business spoke about all this and more with Teemu Salmi, CIO at renewable packaging specialists Stora Enso, and Dominique Guinard, co-founder & CTO at EVRYTHNG, a platform using smart packaging for brand promotion, product visibility, and supply chain intelligence. Discussed were smart packaging’s potential environmental benefits, the way that connected products could change the shape of retail, and the notion that ‘born digital’ products could extend visibility beyond retail and into the home. There are many benefits to smart packaging. However, the potential environmental impact rarely comes up first in discussions. Stora Enso combines renewable materials with connected packaging and the Microsoft Azure cloud platform to make manufacturing, transportation, and post-use recycling processes as smart and sustainable as possible. Retailers are well aware that improved stock management helps to avoid over-ordering and general waste in terms of both packaging and products. This is particularly important when the product is perishable. “Add smart packaging – that can detect spoilage – and you have a powerful proposition for avoiding unnecessary refuse,” he says. The final environmental benefit comes once a product has left the shelf and been taken away by a customer. There’s strong evidence to suggest that digitised packaging could have a transformative effect on the way we recycle. A WRAP 2016 survey found that over 60 percent of UK households don’t know which bin to put at least one item in. As a result, nearly half throw away something that could be recycled. That’s the premise of an initiative that EVRYTHNG was involved in alongside French retailer Carrefour earlier this year. EVRYTHNG helped to develop a mobile app – Recicla Ya – and the technology required to give Carrefour shoppers the ability to scan products with their phones and receive information on how to properly recycle them. The first trial of the project took place in Logroño, Spain. Stora Enso’s smart packaging technology uses RFID technology, which can transmit more information than standard barcode IDs. It also combines with Microsoft Azure’s cloud connectivity. 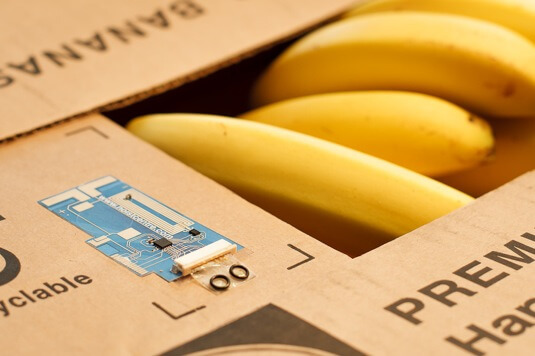 But as the hardware – namely the sensors, tags, and antennas required – become smaller and cheaper, and passive power applications become more common, something as ordinary as a cardboard box can take on a more significant role in the supply chain. For example, theft, damage and counterfeiting cost business a fortune every year. “Boxes with NFC-enabled RFID tags can provide real-time location tracking, alerting a company when something goes somewhere it shouldn’t, helping to prevent theft. Or a customer can scan the box on receipt of goods to check that they are authentic and not stolen,” says Salmi. Of course, the precise application and sensor payload will depend on the goods at hand: ice creams will require a different packaging solution than gold bullion, for example. But, no matter what is being transported, the common threads are visibility and accountability. Transforming retail as we know it? Stora Enso’s Salmi suggests that more intelligent packaging could also facilitate a new type of retail experience. “Retailers are already dabbling with entirely digital stores, where no checkout is required,” he says. 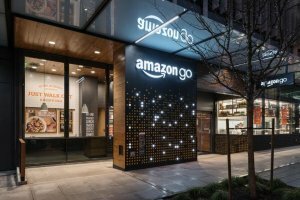 Earlier this year, Amazon opened its first checkout-free store in Seattle. The company’s ‘Just Walk Out’ technology combines computer vision, sensor fusion, and deep learning. Microsoft and Walmart are reportedly in talks over a similar project. Meanwhile, Mastercard is behind several initiatives to give customers the ability to scan and pay for goods in store with their smartphones, such as this example with the UK’s Co-op. The provision of recycling information is just one example of how smart packaging can reach beyond the supply chain and connect with customers. EVRYTHNG’s concept of ‘born digital’ takes that one step further, allowing manufacturers to grow their direct-to-consumer business by giving individual products a digital identity. 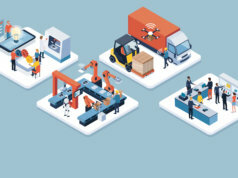 Usually it takes the form of a code or tag on the packaging – implemented during the manufacturing process – which connects it to a wider digital ecosystem. 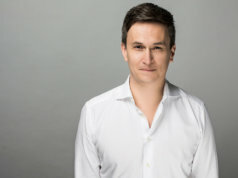 “This lets brands, at point of sale or at home, deliver product content and provenance, or applications like rewards and offers, directly to the consumer via the smartphone, and at the same time collect consent-based first-party data,” says EVRYTHNG CTO and co-founder, Dominique Guinard. Companies already using RFID for bulk packaging to track goods along the supply chain may be missing out on opportunities by not taking the concept one step further. “Most solutions track products at a more macro level for example, by batch, pallet or sometimes case, and in most cases the technology used doesn’t extend beyond supply chain,” says Guinard. Beyond that, smarter packaging at an individual level can also help in times of crisis. “In the case of a quality issue, brands can avoid widespread costly recalls by pinpointing affected products through item-level traceability. All this is enabled through serialised items having their own digital identity and profile in the cloud,” he explains. The extent to which packaging can continue the customer conversation is an interesting grey area at the moment. In an ideal world, manufacturers and retailers would no doubt love to receive usage statistics and gather all kinds of data as their customers connect with packaging – or even with whatever the package contains – in the comfort of their own homes. But GDPR stands in the way of smart packaging giving away many consumer behaviour secrets – in Europe, at least. What’s more likely is that, by giving individual products a digital identity, customers will be empowered. Complaints will become increasingly personalised, faulty batches will be pinpointed with ease and precision; and information on recycling, product ingredients and manufacturing history will be more accessible than ever.